To get you started, we’ve put together our travel bucket list for 2014. Some of us have been to these places and others are looking forward to going. We hope you feel inspired too! This one’s top of my list for 2014, partly because my sister lives there and partly because I’ve heard great things! 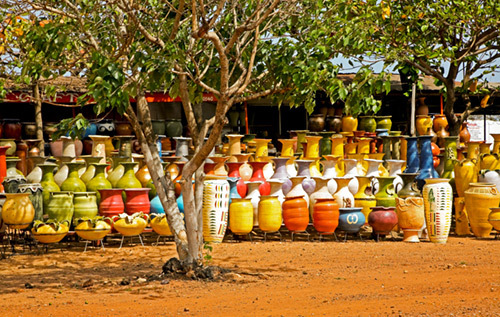 Accra boasts plenty of activities for adventurous travellers like me. I’m sold! When do we leave? This one’s on Melissa’s list and it’s a no-brainer! One of the 7 Wonders of the Modern World, Machu Picchu is a must-see for any adventurous traveller. 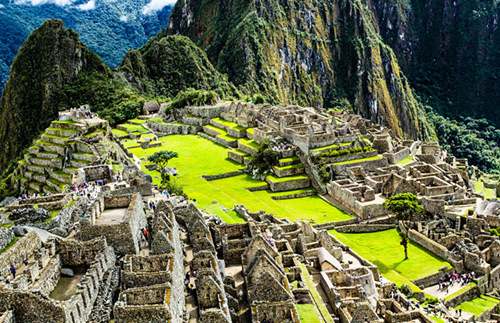 Whether you hike the Inca Trail or catch the bus to the ancient site, it’s well worth the travel time. Impossibly clinging to the steep mountain ridges 2,430 metres above sea level, the views are breath-taking! Little is known about why the site was built, but ancient Incas began construction around 1,430 AD. When I visited Machu Picchu in 2006, I was absolutely floored. All of those fantastic photos don’t do this place justice! Tips: Wear light hiking boots or sturdy runners, bring snacks and a camera, and make sure you’re well hydrated. Prepare to be wowed! Jamie, who’s originally from the Philippines, has added Batanes to her 2014 bucket list. She’s never been to this tentative UNESCO World Heritage site, but is excited to go this year! The province of Batanes is the northern-most in the Philippines. It consists of 10 tiny emerald islands, located in the Luzon Straight between the Islands of Luzon and Taiwan. Lush, green grass clinging to craggy cliffs, dotted with cobblestone houses, make Batanes visually unique. There is no major form of public transportation, so renting a car or a bike is a great option for touring the islands. Watch out for herds of cows and goats grazing along the roadside though. Explore ancient stone houses built by the region’s Ivatan inhabitants, and once you’ve worked up an appetite, feast on delicious local seafood! Got travel tips for any of these places, or a bucket list of your own? I’d love to go to Machu Picchu. Thanks for sharing! You should definitely go, although Accra and Batanes both look as amazing. I want to bike down the Oregon coast this fall 🙂 Got tips or ideas for bike travels?